Grafenberg, October 8th 2013. RAMPF is continuing on its path of growth in China. In order to be in a position to service the growing local demand for electro casting resins and foam gaskets, casting resin production at the Chinese subsidiary RAMPF (Taicang) has been increased by 1,000 metric tons. A further increase of 4,000 metric tons is planned in the medium term. RAMPF has significantly increased production capacity at its Chinese subsidiary in Taicang, and has done so two years earlier than planned. Some 2,000 square meters of additional floor space, the com-missioning of two 1000-liter dissolver plants, plus more laboratory and production staff mean the compa-ny has increased its production capacity by approximately 1,000 metric tons of electro casting resins and foam gaskets. The expansion in capacity was part of a long-term planning process, and is meant for the long term. 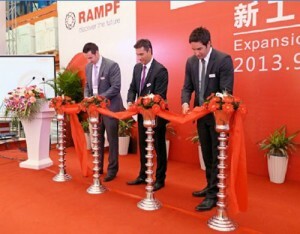 RAMPF has had its own subsidiary in China since 2007. 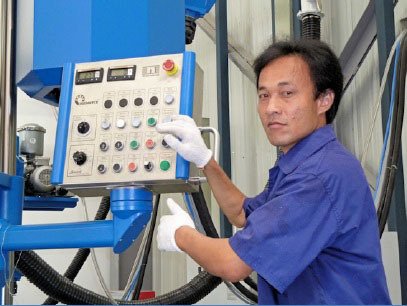 Initially, production and sales related exclusive-ly to the mineral casting machine beds of RAMPF subsidiary EPUCRET for the Asian market; since 2009, the Taicang plant has also been serving the US market. “We carefully examined the possibilities for expanding production right from the start. At RAMPF (Taicang), they are also happy with the development and prospects for mineral casting pro-duction. Their production facility now has a staff of 50. “We also expect a significant rise in production in the medium term here. We have already laid the foundations for the necessary expansion in capacity,” says Fabian Werner. Around 70 guests from business and politics came to the official opening ceremony of the expanded production facility in Taicang at the beginning of September. The city has a population of approximately 470,000, and is about 50 kilometers from the center of Shanghai. The location is perfect for reaching customers all over China, although the majority are situated in the south, particularly in Guangzhou and Shenzhen. 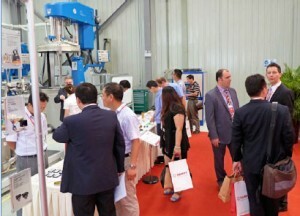 Along with the traditional lion dance that is performed in China as a ritual for luck when a new building is opened, there were also fireworks, specialist presentations, product demonstrations, and site tours.The guests particularly enjoyed being able to hand-cast a red snake using foam gasket material. Accord-ing to the Chinese calendar, it is currently the year of the snake, an animal associated with wisdom, wealth, and long life – “another good omen for the development of RAMPF in China,” says Michael Rampf.